Symposium’s new game-changing mobile incident system has a host of new features. Now, in addition to real-time incident info and mapping, responding personnel can receive customized incident alerts, see the location of vehicles responding in live time, and view any relevant RMS-based premise data, all on any web-enabled PC, tablet or smartphone. EMLive is being adopted very quickly by practically all our clients, who immediately recognized the benefits that come with the ability to push critical real-time response info to responders’ personal devices, quickly and securely. While EMLive provides info to the public via an unencrypted public portal (as is demonstrated on the main page at symposium-live.com), it lets departments provide more detailed information to their personnel via individualized password-protected accounts with encrypted data transfer to provide a higher level of security. Administrators have the ability to set permissions for each account, and to easily disable an account remotely, should the need arise. As well, info pushed to EMLive from CAD, RMS and other systems is “one-way”, leaving no route to access these systems from an outside source. EMLive draws info directly from the CAD and Mobile as they’re updated by the dispatchers and responding personnel, as well as premise and pre-fire plan info from FIREHOUSE and other RMS systems. GPS/AVL, alarm monitoring info, as well as information from other third-party systems are all integrated, providing responding personnel with a comprehensive real-time snapshot of the entire spectrum of available incident information. Data is always up-to-date, and presented in a format that is simple, easy to see, and easy to act on. Because it’s browser based, you don’t even have to download an app. 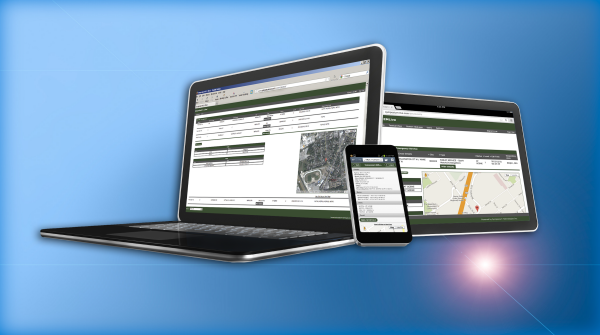 This makes EMLive compatible with the widest range of mobile-enabled devices, simplifies deployment across the department, and ensures immediate access to updates. With such wide adoption and enthusiastic response, EMLive is fast becoming an essential part of fire department operations throughout the US and Canada. And with more and more departments lining up to adopt it, we’re rolling out even more features designed to make emergency response faster, safer, and more effective. One of these is our upcoming Tactical View, which will provide incident managers and other decision makers with a powerful, multi-layer real-time view of incidents throughout their region of operations. Want to bring EMLive to your department? Contact Symposium by emailing us at info@symposiumtechnologies.com, and we’ll show you how you can put real-time incident data in the hands of your personnel, quickly, easily, and affordably.